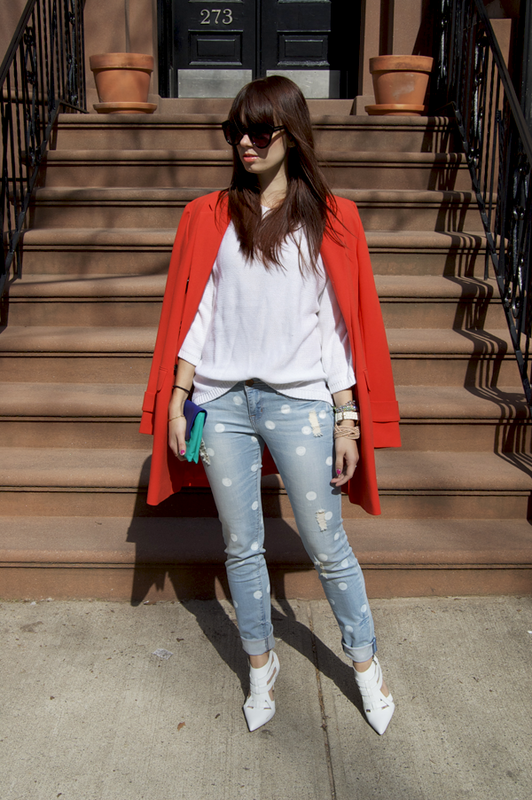 Thanks to Liz of Late Afternoon's post, Denim Dots, I have been obsessed with the Marc by Marc Jacobs "Lily" jeans. But after scouting them out online, prices ranging from $198 to $298, I realized that these jeans were not in my budget. So after some thinking I decided to do a DIY Project...where I found Swell Mayde's blog. After getting the idea of doing a DIY project I searched the web to see if anyone else has attempted this project or something similar, which is how I found Swell Mayde. Her jeans came perfectly so I knew this what I wanted to do. Step 2. Use the round brush start stamping your dots. I first started measuring out the dots with my measuring tape but then just started doing it by just eyeing it. Step 3. Wait for the front side to dry and repeat on back side. You can also use Swell Mayde's direction...there she tells you her measurement of dots. What do you think of this DIY project? Would you be willing to give it a try? this is SO COOL! thank you so much for showing us how to do it without paying an outrageous price! this is great! They turned out so cute! I've been wanting polka dot jeans for a while :) I also saw a really cute DIY for heart-print jeans on Pinterest that I've been meaning to try. That's a really great DIY idea! Love it! Thank you so much for that inspiration! 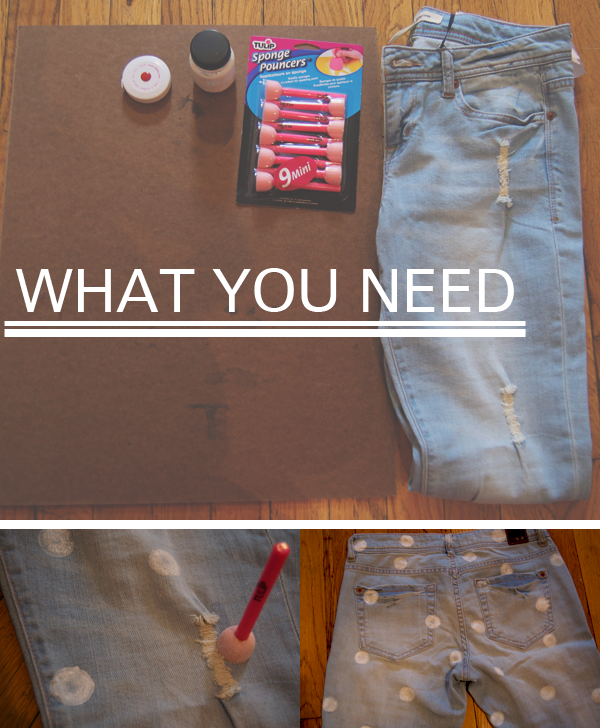 This DIY project is so amazing and I love your polkadot-pants! A great result! Well done you are very talented ! Such a cute DIY!! Love love love it! Definitely need to try it! 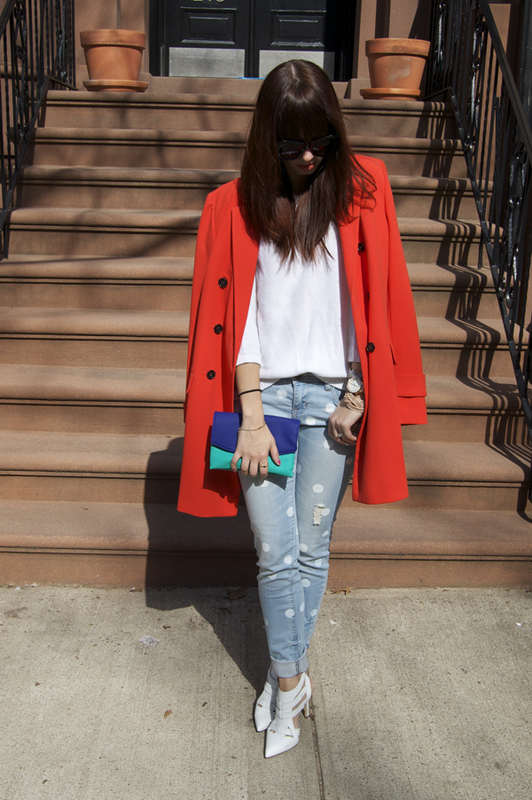 I did this using a pair of Gap jeans as inspiration a few months ago! It was so easy! I was already thinking about doing this! I'm so in love with the pants!